A proper trilogy is one which was originally written as a trilogy, or at least one really long, solid narrative broken down into three parts. That said, The Godfather does not qualify as a proper trilogy, while the original Star Wars Episodes IV, V, and VI do. Almost all movie fans hail The Empire Strikes Back as the best episode in the franchise, while The Godfather Part III is rarely spoken of by film lovers everywhere. No danger of that happening here, as they're all fabulous. What I'm getting at is I actually liked this film, despite having forgotten how most of the book goes. 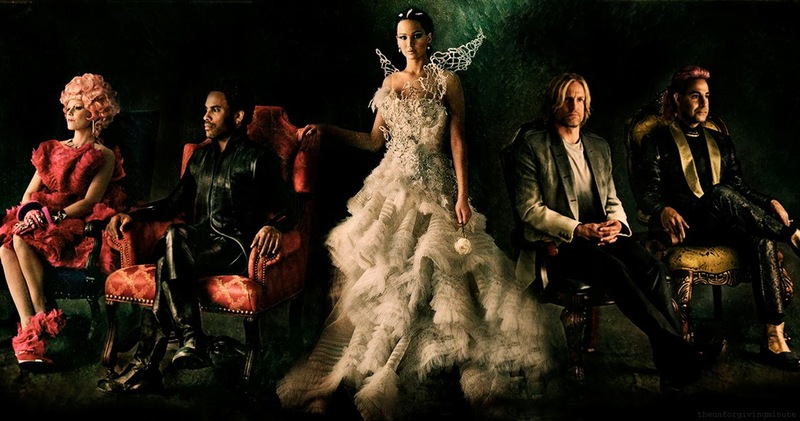 Now the whole concept of the Hunger Games is fleshed out, and now we are made to understand the philosophy and the historical context of this western Battle Royale. 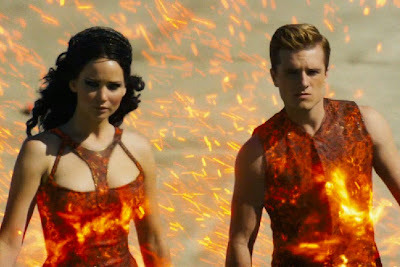 As well as the rationale behind the extremely flammable District 12 wardrobe. 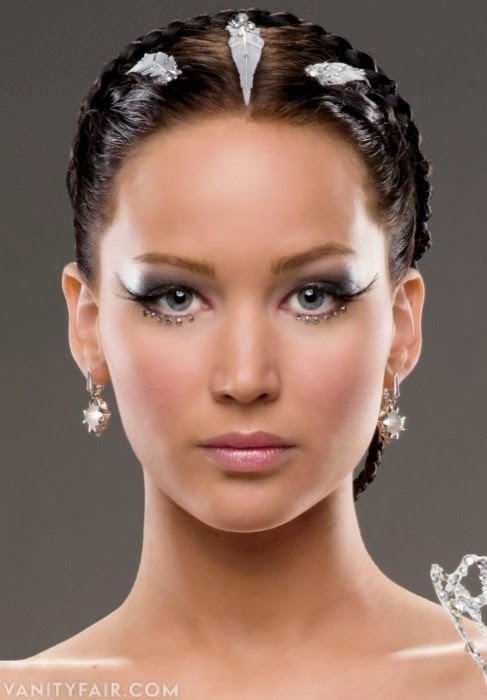 Further post-viewing research has revealed another reason why this film is so much better than The Hunger Games. In the first film, they made the mistake of hiring Suzanne Collins (the author of the book slash source material) as one of the writers of the screenplay. That is a very risky move, and should only be done when the source author has already had previous experience with screenwriting. You don't see J.K. Rowling struggling for a screenwriter credit, do you? 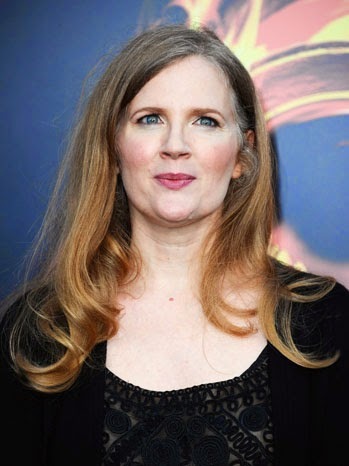 Since most of you probably don't care what Suzanne Collins looks like, here's a photo. So which screenwriting tandem is responsible for this adaptation? Let's see… there's Michael Arndt, who wrote Little Miss Sunshine. And won an Oscar. Then there's Simon Beaufoy, who wrote Slumdog Millionaire. And won an Oscar. In this shot, only J. Law has an Oscar. 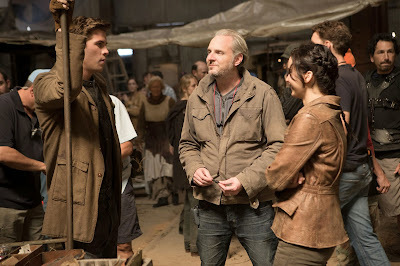 The Hunger Games: Catching Fire. USA. 2013. You might also want to read the reviews of the first film, The Hunger Games, by Sting Lacson, or the review by Sue Denim, who also wrote a review of the book Catching Fire.